Students from the Wolff Center for Entrepreneurship will put their skills to the test during Wolffest on April 10-12 in Butler Plaza. Entrepreneurship students from the C. T. Bauer College of Business will face off next week during Wolffest, a three-day business competition that allows students to apply the startup skills they’ve learned in the classroom. Teams are in charge of every aspect of the competition, from contacting sponsors and setting prices to operations and customer experience during the event. 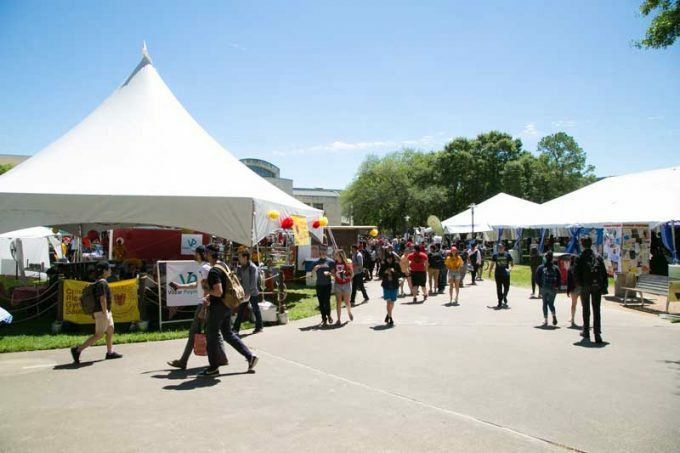 The program ahs also partnered with public relations students from the Jack J. Valenti School of Communication to promote Wolffest on campus and across the city of Houston. Wolffest kicks off April 10 and ends April 12, with pop-up restaurants open for business between 10 a.m. and 5 p.m. in Butler Plaza.